This morning I went to The Village Hotel Newcastle (Silverlink) to relax on a Spa day thanks to Red Letter Days who give me a voucher for the occasion. Red Letter Days have a whole host of different vouchers available for different experiences making them the perfect gift idea - they would make a great Mothers Day gift. To redeem the gift experience voucher you simply register your voucher online, you will then be giving a phone number of your chosen venue to ring and book and then you hand the voucher in on the day. 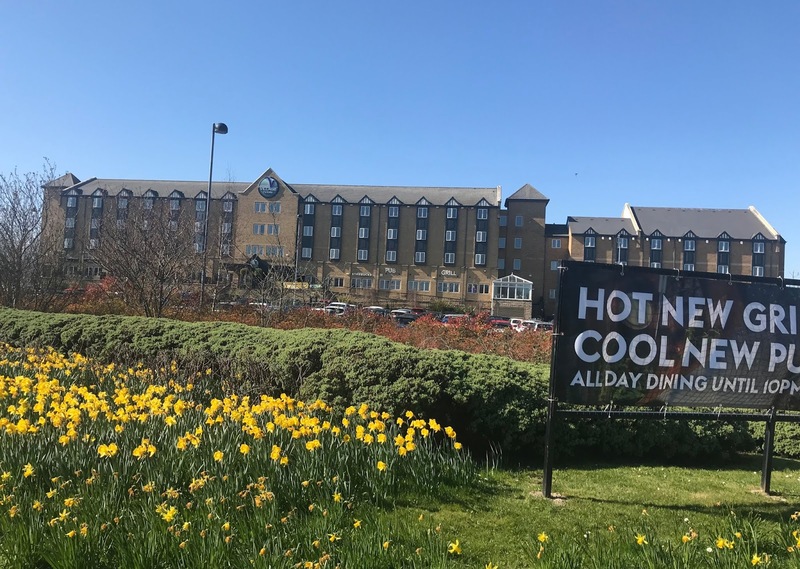 It was really straightforward to book and as I had been given Blissful Spa Day for two voucher there was a number of different spas I could book into all over the country. I decided on The Village Hotel Spa as it was close to where I live and I had never been before. When I rang to book into the spa day the spa was actually busy so I had to wait a few weeks for an appointment which luckily wasn't a problem for us. Arriving at the Village Hotel for 9am we arrived at reception and were directed to the spa area which is downstairs near the gym. We were showing to the relaxation room which had dimmed lights, comfy chairs and was very peaceful and we were asked to fill in some forms. As part of the Red Letter Days Blissful Spa Day for two package, we were able to receive a 25-minute treatment each from the choice of a manicure, pedicure, facial or back & neck massage. 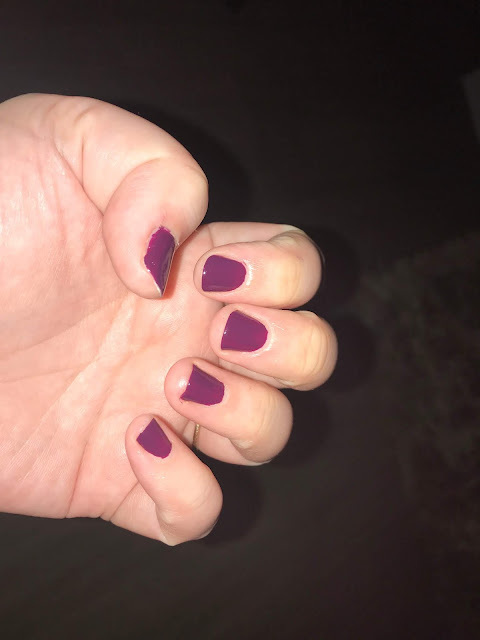 Both myself and my brother's partner who accompanied me to the spa day opted for a manicure. The therapist were lovely and instantly put us at ease whilst they made our nails pretty. 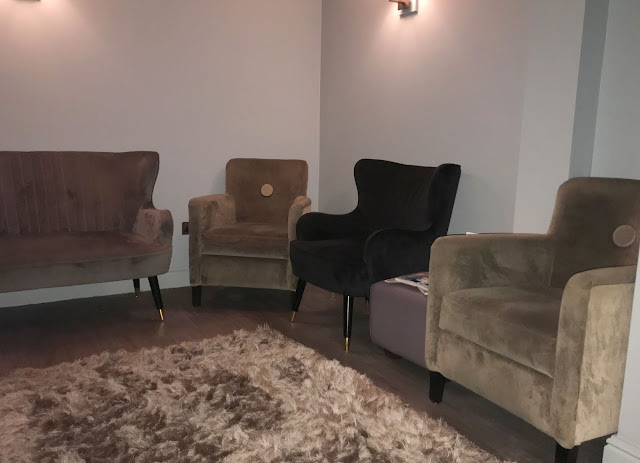 We were then shown back to the relaxation room to wait for our nails to dry and had planned on using the leisure facilities as there is a large swimming pool and jacuzzi available. However, it was really busy when we were there so we decided to skip it and just head for a coffee in the onsite Starbucks instead. I was a bit disappointed we had to cut our spa day short and didn't get to try out all the facilities but the leisure facilities were just too busy for us to enjoy them, the sunloungers, jacuzzi and every lane in the pool was occupied which was a shame so I can't comment on them. It is also worth noting that The Village Hotel charge a fee for hiring robes and slippers (I think it was about £6) so make sure you take change if you are planning a visit. I really enjoyed my treatment and the salon area was lovely, so much so that I am thinking of booking my pre-wedding beauty treatments there for my upcoming wedding in June. I love the idea behind Red Letter Days as you can book so many different experiences and the recipient can book into a location and time that suits them. 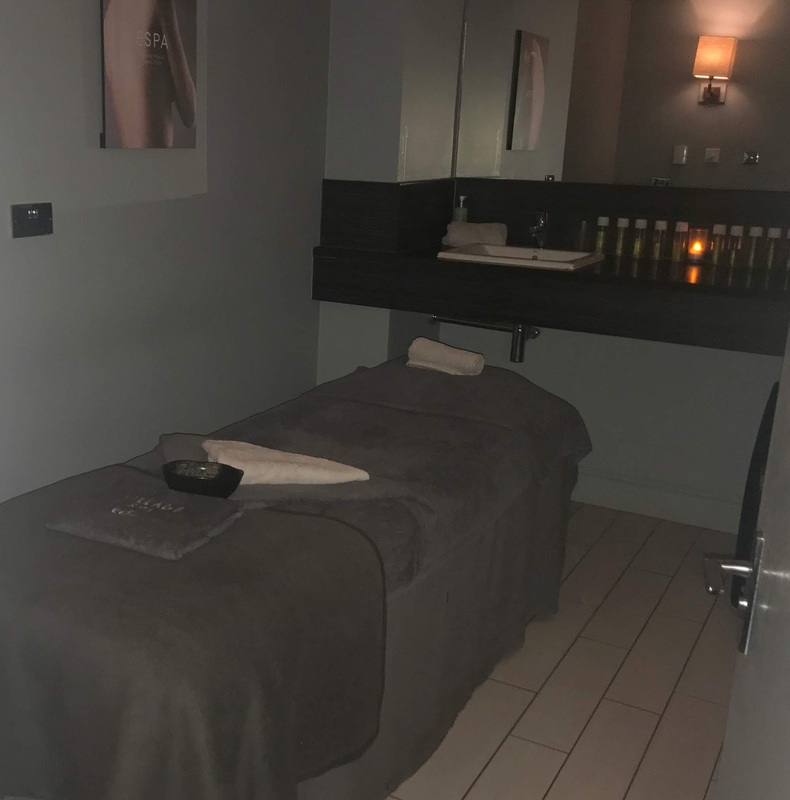 The Red Letter Days Blissful Spa Day for two voucher costs £55 which I think is really good value as you also get full use of the spa facilities for the full day you visit. It was a shame that I was unable to make use of the leisure facilities on my Spa day but that was not Red Letters Days fault, I just visited The Village hotel on a Friday morning when it was busy. You can also use the voucher at Bannatyne, Macdonald and Marriott spas which I have heard great things about. Why not read my Oulton Hall near Leeds spa review. Disclosure I was provided with a complimentary Red Letters Day Blissful Spa Day for two voucher in exchange for this review, however, all opinions are my own. This looks so relaxing - what a shame the pool was so busy though! It still sounds like a great day even so. I love a good spa day. Looks like you enjoyed yourself. What a lovely relaxing time. I love the colour of your nails! That is a real shame actually. I've not had a spa day for ages, but the ones I've done always had a really quiet relaxing pool - as you'd expect - so maybe this is something that particular spa should think about. I love Red Letter Days though! Such a treat! I love Red Letter Days, we did a spa experience with them a few years ago and it was brilliant! It's been a little while since my last Spa Day but got one booked in next month and I'm so excited!